Connecting Portrush, Portstewart and Coleraine, the North West 200 triangle normally takes 15-20 minutes. 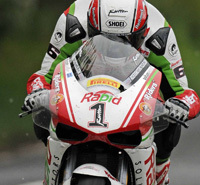 On race day the riders do it in less than 5. 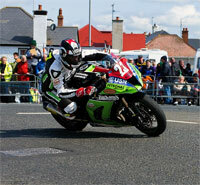 Riders race along the stunning north coast, cutting through towns and accelerating to over 200mph in the countryside. For a hive of activity and excitement you can view from the start/finish of the race. Take a walk around the paddock, have a seat in one of the adjacent grandstands or purchase a hospitality ticket and watch all the action from the corporate balcony: the perfect location to see the riders prepare for, start and finish the race. Relax and prepare for the adrenalin rush! Access to this area is available prior to roads closing. Ensure you leave yourself time as this area becomes very congested. After roads close you can walk from either York Corner of the Metropole area. York Corner is an all action overtaking point and superb on the first lap as riders jostle for position. Enjoy a seat from the comfort of the grandstand which is ideally located to see the riders ‘pop the front wheel’ over the crest on the exit of Primrose then it’s hard on the brakes for the left hand uphill hairpin at York, before accelerating hard towards the Mill Road Roundabout. As with all grandstands, the York stand has a full viewing Big Screen so you’ll miss none of the action. Food and bar facilities are available at The Amici Restaurant. Access is only available via the Portstewart area after the roads close. Slow roundabout which is taken anti-clockwise. 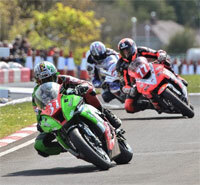 Riders then build up to speeds of 140mph on approach to Station Corner. Viewing from this vantage point is worth considering as this is probably the fastest corner on the course, but not for the fainthearted. Just ask any of the riders! Again access should be gained prior to roads closing or if you are positioned on the inside of the circuit you can access Station Corner via Roselick Road. Between Station Corner and University you can view the race as the riders ride a flat-out crest where the superbike machines fight to keep the front end down as they nick top gear on the run to University. Access from the inside of the course along Islandtasserty Road. For those who love the thrill of the speed! 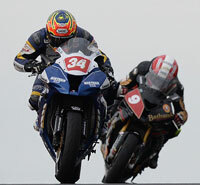 This is the point where the superbike machines flash past at over 200mph. As the bikes whiz past it is difficult to mark your programme, so not the best location if you wish to keep your records up to date! Access is difficult after roads close as this area is the fastest section of the course. If you wish to spectate here, you can walk across the fields from University Corner. You will have excellent views from either the inside or outside of this corner. Great place to watch the riders arrive from the fastest part of the course and time the braking just right (or not!) coming from the Speed Trap area towards this sharp corner. Access from Coleraine (Shell Bridge area) past the University of Ulster. 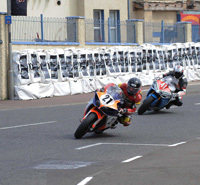 Riders run anti-clockwise around Ballysally “Magic Roundabout” before heading onto the Portrush Road towards the GB Racing Mather’s Cross Chicane. This is a great viewing point with plentiful standing areas. It is always a hive of activity. For those who like a quick exit this is an ideal location for you! Again this section is very easily accessed from the ring road area on the main route to the circuit. 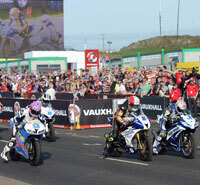 Almost as famous as the NW200 itself and historically it was not one for the throttle-shy riders. 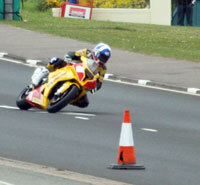 Since 2010 a chicane has been added so Mather’s is now more a test of skill than speed. Access available from Gateside Road and lslandtasserty Road (inside of circuit) after roads Close. Introduced as a slowing down and safety device on the run into Metropole has made it a top spot for spectating. Beware the riders who brake too late and over run or those who choose this moment in the final lap to outwit the rider in front! Access via Gateside Road then Loguestown Road. Metropole embankment features a grandstand with great views of the fast left hand sweeper on the approach to Church Corner, plus the added benefit of a 30 metre square Big Screen so fans don’t miss any of the action. 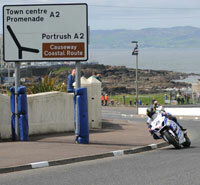 Metropole has good access to the rear into Portrush and along the coast road towards the paddock. Slower Right hand bend by the church as they exit from Metropole Corner. Access to Metropole is from Portrush or the coastal path. A favourite with fans, this right-left underneath the railway bridge has limited access and vantage points so get there early! Access from Portrush or walk the coastal path from the start/finish. Best views are from the outside of the bend looking down on the riders as they flash into view from Dhu Varren and up towards Black Hill. 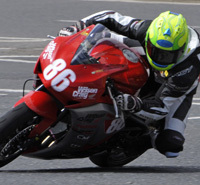 Riders may appear to be slow, but believe us this is not the case as the superbikes sweep through the left-right flick over the crest in third gear whilst fighting to change direction; miss the kerb on the outside and aII the while trying to keep the front wheel on terra firma! A spectacular location with cliffs and the Atlantic Ocean as the main backdrop. 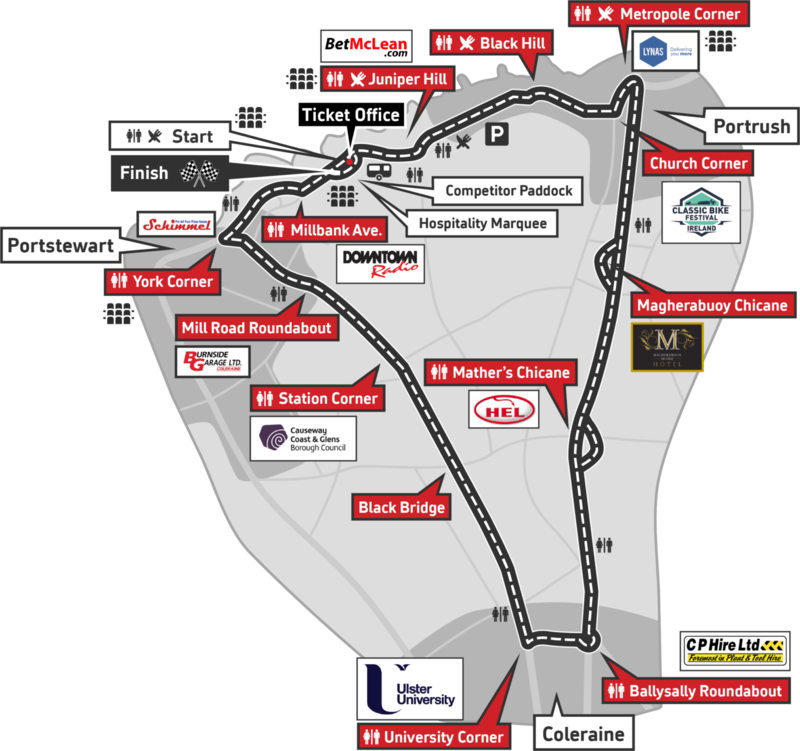 Access is available along the Coast Road from either the Start/Finish or Metropole (Portrush). For those who like to move to a variety of viewing points this is ideal as you can easily walk between a variety of different vantage points. Juniper Hill has superb viewing all the way along the coast road from Black Hill to Juniper Hill The best access is from the Coast Road which runs from Portrush to York Corner. Access on the inside is limited to the Juniper Hill Caravan Park.